Crazy comes in many forms. For my 4 year old daughter, that means taking a scissors to her hair, giving herself a partial mullet, and hiding the hair clippings in her unicorn backpack. (true story!) My kind of crazy means concocting some kind of buffalo chicken recipe with spaghetti squash. My daughter’s new hairdo? amazingly horrible. 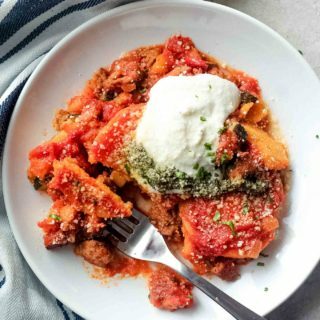 My new spaghetti squash recipe? Insanely good! 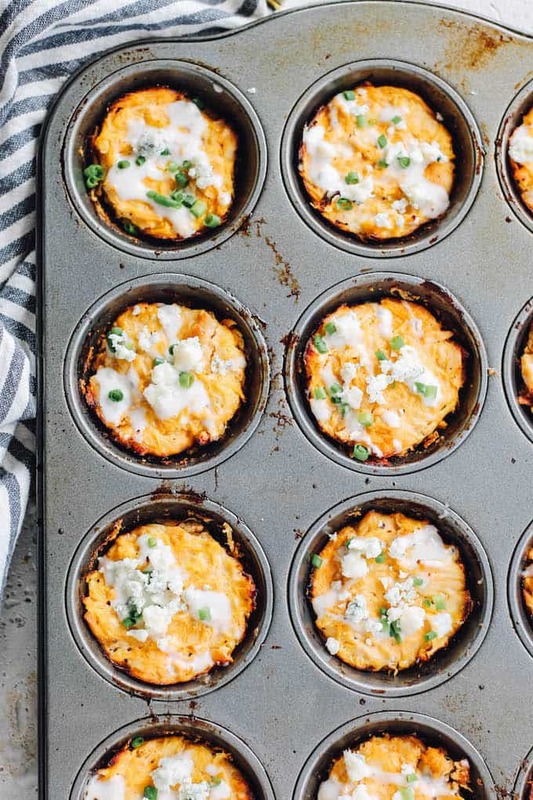 These buffalo chicken spaghetti squash cups are full of tangy chunks of buffalo chicken and bursting with blue cheese and ranch in every bite.The magic of spaghetti squash and eggs bring everything together in a super tasty, perfectly portioned cup! What I love the most about spaghetti squash is the bulk factor. Those glassy strands will bulk up any dish, making it more filling and giving you more veggies in each serving! A prime example is this Cajun Chicken Spaghetti Squash Bake, one of my family’s favorite dishes. I even used spaghetti squash as a substitute for bread in this waffle grilled cheese sandwich. You can do virtually anything with spaghetti squash once you make it past cutting it in half and cooking it. My favorite way is roasting with a bit of salt, pepper, and olive oil because it brings out major flavor in the squash so there’s no need to season once the noodles have been scraped out. 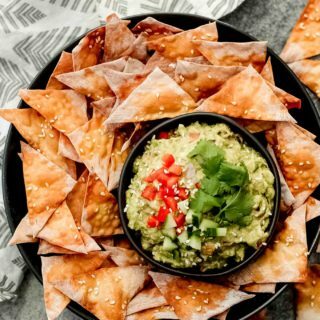 Other cooking methods include microwaving, placing each half face down in a large bowl filled a little water and cooking for about 7 minutes per half. A reader recently commented that the slow cooker is another easy way to cook it, but I’ve yet to try that method. 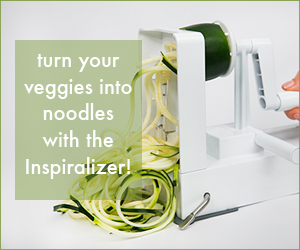 Once the noodles have made it to a plate, make sure you wring them out. Do not skip this step! Place the mound of squash in a sack towel. Twist and squeeze as hard as you can until you can’t squeeze any more. The squash will have formed into a tight ball, but don’t worry, the noodles are still there! 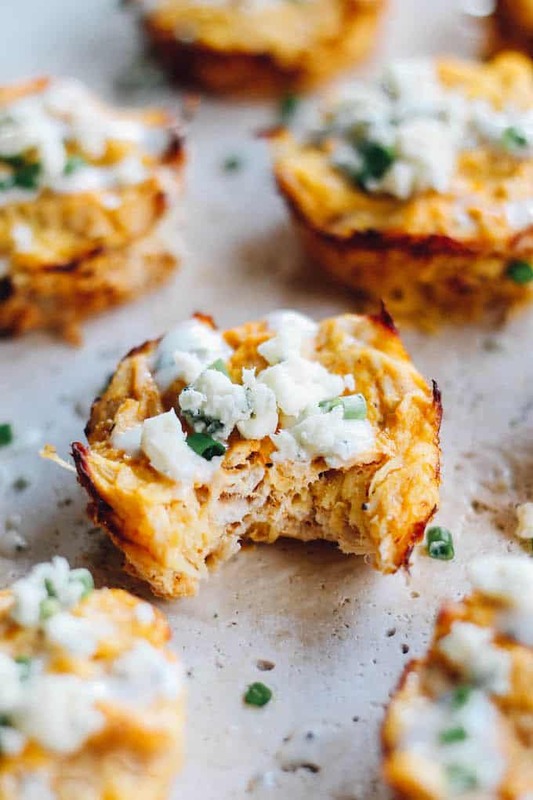 It’s now time to mix in the buffalo chicken, eggs, and blue cheese to form the “batter.” Spoon equal portions into a well-greased muffin tin and pop it in the oven to bake until the edges are browned and the middle of each cup is firm. 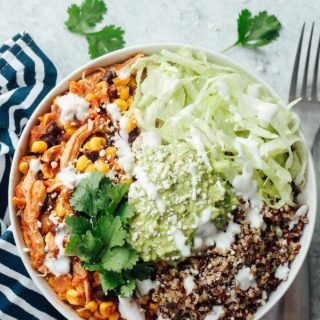 In true buffalo chicken form, finish with a drizzle of ranch or blue cheese dressing over the top and a sprinkle of blue cheese crumbles and fresh chives over the top. 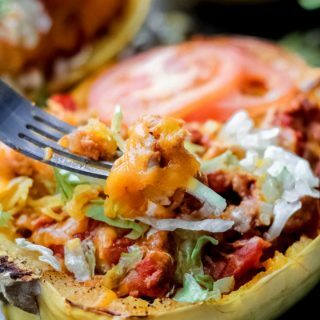 These Buffalo Chicken Spaghetti Squash cups would make an awesome, healthy appetizer to serve at a gathering, but I enjoyed them the most as a snack. Confession time. Last week, I made a batch (12 cups) of these on Monday and by Friday, they were gone because I (as in, just me) ate every last one of them. When I was craving a savory snack, I grabbed 1 or 2 straight from the fridge and ate them cold. In my opinion, it’s the best way to enjoy them! I also packed a couple in my lunch for a filling side dish. 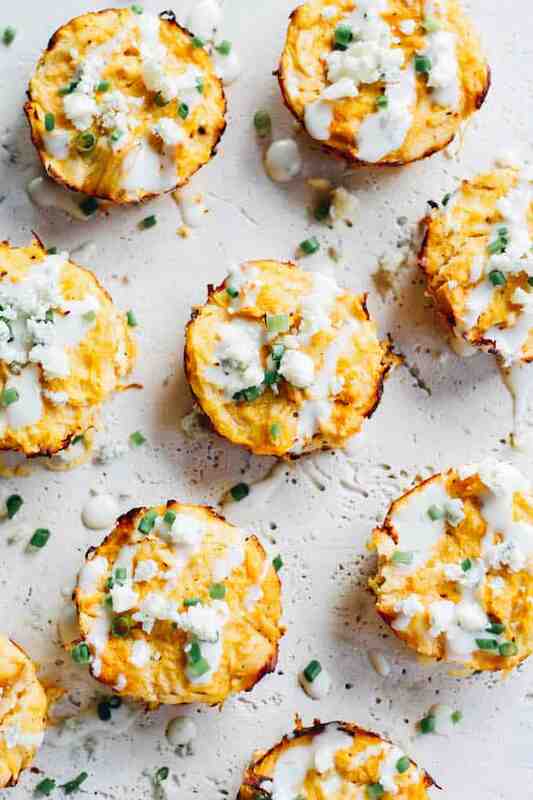 Get a little crazy in the kitchen and give these Buffalo Chicken Spaghetti Squash Cups a try. 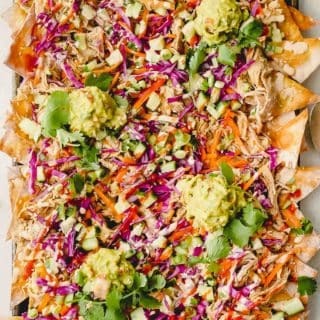 I promise you’ll be hooked after the first bite! Cook the squash: Preheat the oven to 350 degrees. Cut the spaghetti squash in half lengthwise. Scoop out the seeds. Rub ¼ tablespoon of olive oil on each half and sprinkle with ¼ teaspoon of salt and ⅛ teaspoon pepper. Place in the oven, flesh side up, and roast for 30 minutes. Let the squash cool and scrape out the strands. Release the excess liquid from the squash strands by piling them onto a sack towel and twisting the towel firmly. 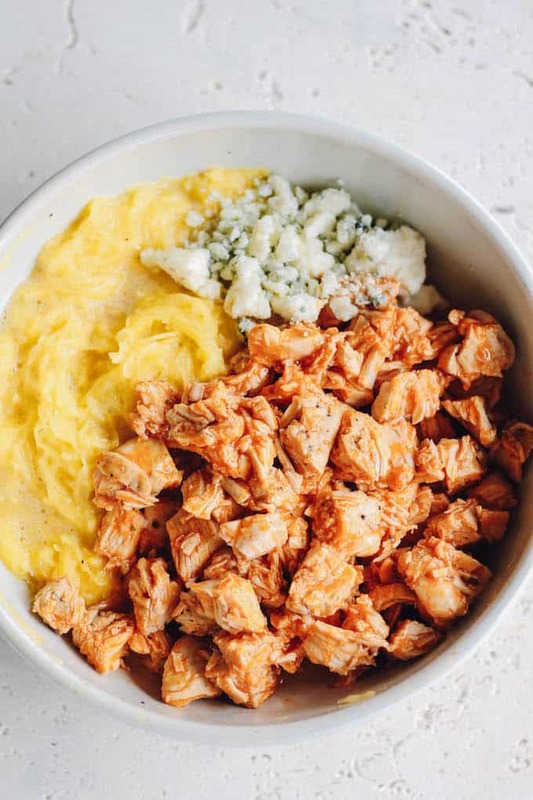 Prepare the chicken and squash mixture: Add the chicken cubes, blue cheese, and buffalo sauce to a bowl and stir to combine. Whisk the eggs in a large bowl and stir in the spaghetti squash. Pour the chicken into the squash mixture and stir to combine. Prepare the cups and bake: Place an even amount of the chicken and squash mixture into each cup of a well-greased, 12-cup muffin tin. Bake in the oven for 30-35 minutes until the edges have browned and the middle of the cups are set. 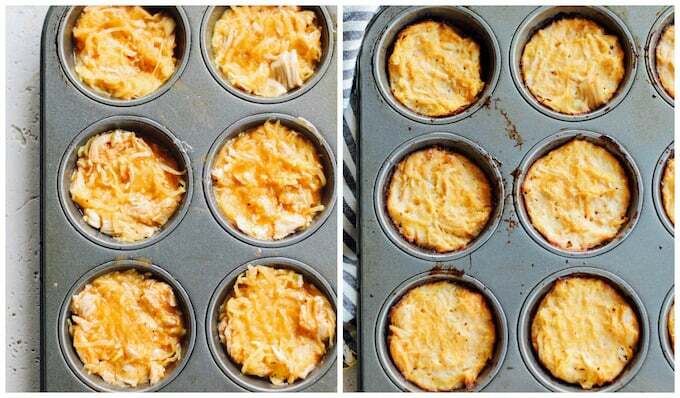 Use a knife to loosen the cups from the edges of the muffin tin and scoop them out with a fork or spoon. 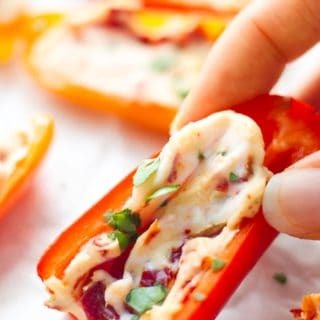 Serve with ranch or blue cheese dressing and a sprinkle of crumbled blue cheese and fresh chives. I want to know if these can be frozen, then reheated? Hi Mary, I haven’t tried freezing them yet. I’d imagine they’d be a little bit soggy upon reheating. But reheating in the oven might reduce sogginess and help them firm up again. Could I use cupcake / muffin liners? I haven’t tried using liners for this recipe, but I have a feeling the filling may stick to the liners.